Hire the best wedding catering New York has to offer when you browse through our comprehensive NY Wedding Guide. We are your premier source for New York wedding catering. Exquisite Catering By Sweet Basil Catering & Events! 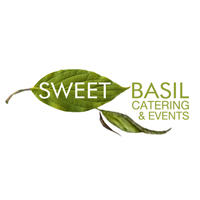 Let Sweet Basil Catering & Events provide the best food on your wedding day. They will make sure that their authentic cuisine will delight you and your guests and will satisfy everyone's appetite. Among the best caterers here in New York, Sweet Basil Catering & Events will provide nothing but excellence and quality service for the satisfaction of their clients. Make your New York wedding complete and have Sweet Basil Catering & Events provide their service where they will make sure that everyone will enjoy the food. Experienced and Affordable Wedding Caterers in NY! Established in 1995 by two owners with over 40 years of combined wedding and catering experience, Ariana Waterfall provides some of the highest caliber wedding catering in New York! Book your reception at the catering hall and watch your storybook wedding unfold in front of your eyes-- complete with elegant floral arrangements, fountains, and tropical gardens. The hall is extremely spacious, with the capacity to maintain large parties. The company offers great wedding packages that include such amenities as video, photography, a DJ, a 10-passenger limo, and floral table centerpieces. The open bar serves champagne, fine wines, cocktails, and frozen drinks. Get the most unbelievable value for an affordable price! Ariana Waterfall will take the stress out of planning your wedding and make sure your reception is a day you'll treasure forever! Steven Brown Caterers, For Your Perfect Wedding! Among the best caterers here in New York, Steven Brown Caterers provides quality and excellence in providing their authentic cuisines, making sure that the food catered is fresh and absolutely delicious. With the expertise in catering services here in the city, Steven Brown Caterers knows what to provide for your special occasion, delighting you and your guests with their exquisite cuisines. 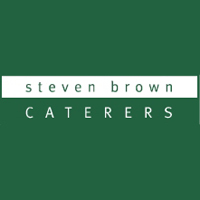 Book your reservations and contact Steven Brown Caterers for their amazing food catering service on your wedding day. Cocktail Caterers For Your Wedding! Plan that special wedding of yours and have Cocktail Caterers provide their spectacular cuisine at your event. You will be sure that everyone will enjoy their exquisite cuisine. 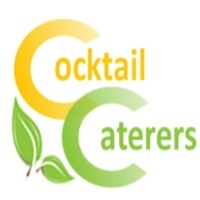 With years of experience and knowledge in catering, Cocktail Caterers will make sure that your event will be a hassle free experience for you and that the food being catered will satisfy the appetite of everyone. Have that special wedding that you always dreamed of and book your reservation with Cocktail Caterers, where they can provide to you the best catering service here in New York. 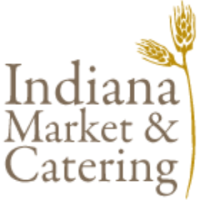 Full Service Catering By Indiana Market & Catering! Plan that special wedding of yours and let Indiana Market & Catering provide their excellent service for your special occasion. They will provide to you the best cuisine for your occasion filled with artistry and most importantly a great selection of food that will surely satisfy everyone's appetite. Make your New York wedding complete and let Indiana Market & Catering provide their catering service where they will make sure to satisfy the appetite of everyone. 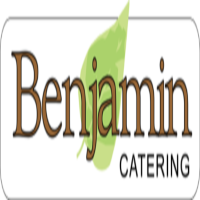 Wedding Catering By Benjamin Catering! Have the best wedding experience here in New York and let Benjamin Catering provide their absolutely mouthwatering delicacies for your wedding. With their great service and delicious cuisines, you will be sure that your wedding day will be a success in which everyone's appetite is satisfied. Plan your wedding and book your reservations from Benjamin Catering where they will be more than happy to accommodate you with your wedding needs. Wonderful Cuisine By Acquolina Catering! Have Acquolina Catering provide that catering service for your wedding and you will be sure that you and your guests will enjoy the delicious food. 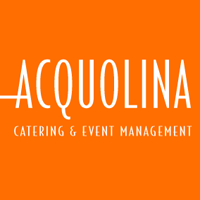 With their experience in catering food to big events here in New York, Acquolina Catering can make your event a success, satisfying the appetite of everyone at your wedding. Contact Acquolina Catering and book your reservations. Visit their website for more information and inquiries on the services they offer. Mouth Watering Food For Your Wedding! 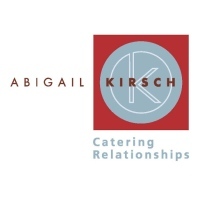 Let Abigail Kirsch provide their catering service and they will be sure to provide the best cuisines for your special occasion. Serving the New York area for over 30 years, Abigail Kirsch can provide to you the best options for their menus and will help you make your job a lot easier in planning for your wedding. Have Abigail Kirsch cater for the food on your wedding day. Contact them through their website or call them at their number. You will definitely love their food and their great service. Italian Delicacies For Your New York Wedding! Among the best caterers here in New York, Arthur Avenue Caterers provides a unique selection of cuisine for your wedding. They provide Italian style cooking where it is absolutely delicious, you will definitely love their food preparation and will surely want to have some more. 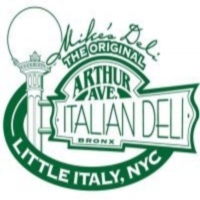 Arthur Avenue Caterers provides nothing but excellence and quality service for the satisfaction of their clients. Have Arthur Avenue Caterers provide their catering service for your wedding. Contact them today and book your reservations. Great Food For Your Wedding At Benchmarc Events! Let Benchmarc Events cater the food for your wedding, they will make sure to provide the best cuisine for your wedding where everyone's appetite will really be satisfied. 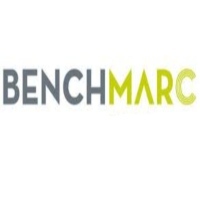 Benchmarc Events specializes in providing unique delicacies wonderfully prepared to satisfy the eyes and appetite. 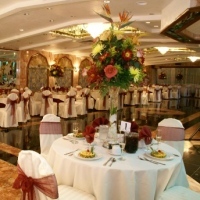 Plan that New York wedding of yours and let Benchmarc Events cater the food for your event. You will definitely love their scrumptious cuisine leaving you wanting for more. 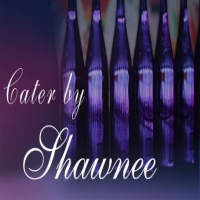 Cater By Shawnee For Your Wedding! A best choice in having someone to cater for your wedding, Cater By Shawnee can provide all the delicious cuisine for your wedding, making sure that all food is prepared fresh for your wedding. With their experience and skills in preparing the best dishes for any occasion, Cater By Shawnee can provide all the best cooking and their signature dishes for your wedding. Contact them today and make your reservations, you will surely love the work that they do to make a delicious cuisine for your guests to enjoy.